If you like chocolate chip cookies, you’ll LOVE these chocolate chocolate chip cookies. I mean, more chocolate is better, right? 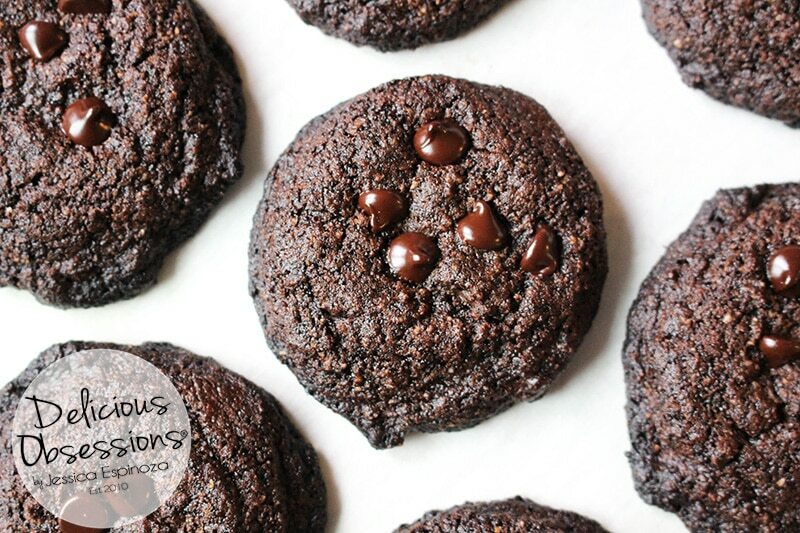 Even if you’re off gluten and grains, you’ll be able to enjoy these super delicious cookies — rich and chocolaty with a crispy outside and a chewy inside. Where’s the milk?! 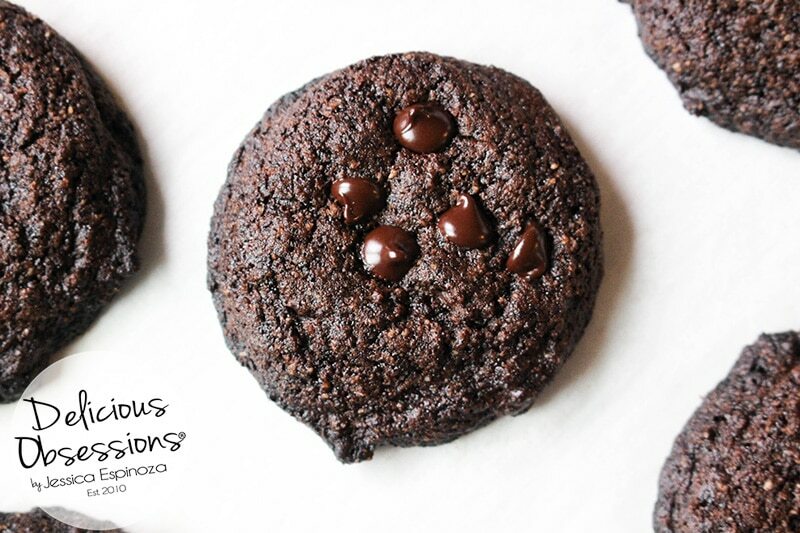 I have been so excited to share today’s recipe for chocolate chocolate chip cookies with you. I mean, when it comes to chocolate, more is better, right?! I’m pretty sure this recipe will quickly become a household favorite. I know they disappear, lickety-split, every time I make them. A while back I shared with you my recipe for my classic Chewy Gluten-Free Chocolate Chip Cookies. That recipe was the inspiration for this recipe. Actually, it was a combination of those cookies and my Death By Chocolate Brownies, Version 2 that created the craving for these delicious cookies. These chocolate chocolate chip cookies have all the flavors of a classic chocolate chip cookie mixed with a decadent brownie. Rich, fudgy, crispy, and chewy. They are perfect when dunked into a glass of your favorite milk or a creamy latte (if you’re off coffee, but missing it, check out my best-selling DIY Herbal Coffee Substitutes Guide here). In my opinion, recipes are just guidelines. I’ve always been a color-outside-the-box type of person when it comes to creating in the kitchen. Because food has been such an integral part of my whole life, I have always had a keen way of being able to know what flavors and what proportions work with what. In that light, I often use a recipe as more of a suggestion, rather than something that is set in stone. I consider this ability to be a skill that was passed along to me by my mom and I am forever thankful for it. She started me off cooking around the age of 3 and by the time I was around 6, I was cooking and baking alone. Then I ended up working in a restaurant for nearly a decade, so I was exposed to all sorts of flavors and techniques that helped solidify my culinary passion. 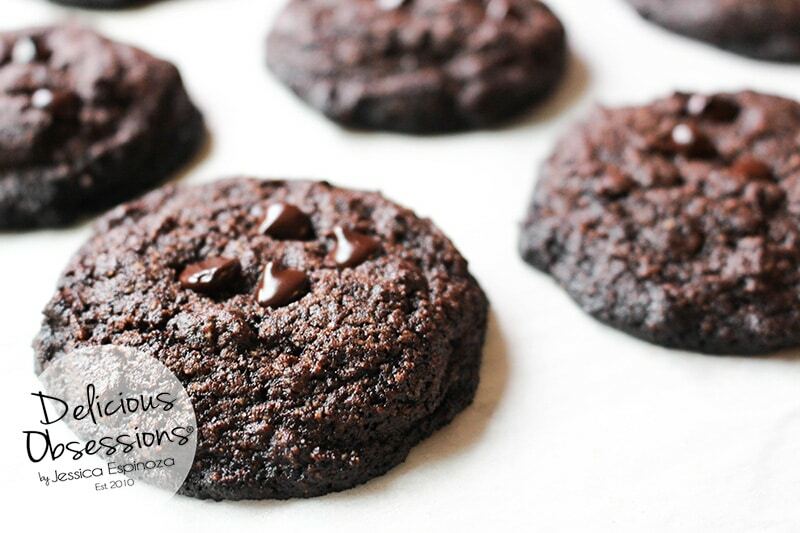 Normally I like to teach you a little history about the recipe I’m sharing, but since we already covered chocolate chop cookie history in this post here, I figured we’d skip that today. Instead, let’s talk about some of the ingredients and then dive right into the actual recipe. When it comes to ingredients for this recipe, it’s really pretty simple. If you’re already using gluten- and grain-free flours then you’ve likely got what you need on hand. I’ll talk about a few of the ingredients below and offer suggestions for those ingredients that you may not be familiar with. What Sweetener Do I Use? For today’s chocolate chocolate chip cookies recipe, I am using erythritol as my granulated sugar. Erythritol is a sugar alcohol that has negligible effects on blood sugar in most people. Even though other sugar alcohols are a no-go for me (I have horrid digestive upset when I use them), I seem to tolerate erythritol just fine. That said, a lot of folks don’t tolerate sugar alcohols at all, or maybe prefer to use different forms of sweetener. In that case, you can easily substitute any granulated sugar of your choice in these chocolate chocolate chip cookies. Unrefined cane sugar, coconut sugar, maple sugar, rapadura, or any other granulated sugar will work just fine. On a side note, I have not used liquid sweeteners (like maple syrup or honey) in this recipe, so I can’t tell you how well it would work. Over the years, I have decided that I don’t really like liquid sweeteners in most baked goods because I find that they tend to burn more easily. I also am not a huge fan of the flavor of honey and I don’t tolerate it or maple syrup very well. If you do give a liquid sweetener a try in this recipe, please leave a comment and tell me how it worked. Your comments are always helpful to other readers, as well as me. Do I Have to Use Butter? In short, yes, butter is better (read this article to learn more). 🙂 Butter is actually one of the things that makes any chocolate chip cookie taste amazing (and these chocolate chocolate chip cookies are no exception), but I fully understand that not everyone can tolerate butter. If that’s the case, have no fear, there are other options and they will still turn out deliciously! I am technically dairy-free, but I can tolerate both butter and ghee. I have found a lot of folks who are sensitive to dairy seem to do well with ghee, so that would be my first suggestion if you can’t use butter. Ghee is clarified butter that has had the lactose and casein removed, which makes it not as reactive for some people. You can find ghee at your local health food stores or online. I like Tin Star Foods and 4th & Heart brands. All that said, if dairy is simply a no-go for you in any form, coconut oil is a safe bet. You could likely try palm shortening as well. I have not tried palm shortening in these so I can’t speak to how they would taste, but it would work just fine in the recipe. While we’re talking about palm shortening, please make sure you only source palm products from reputable companies like Tropical Traditions. Tropical Traditions is the ONLY place that I purchase palm products from because they are guaranteed to be sustainably and ethically sourced. Their palm products come from South America and Africa, NOT Indonesia and other regions where deforestation and habitat destruction is happening. And they work closely with local farmers to ensure that everything is fair-trade and ethical in production. There are some decent butter substitutes on the market that don’t have a ton of icky ingredients in them. One that I came across at my health food store that looked good is this Miyako’s brand, and I think it would work well in this recipe. Please note that I’ve never tried anything other than butter and coconut oil for this recipe so I can’t confirm how well other substitutes would work. Use Chips or Use Chunks! For this recipe, I did end up using chocolate chips because that is what I had on hand. I don’t often have chocolate bars on hand to make chunks, but I do almost always have Lily’s Brand chocolate chips in my pantry. I love this brand because they’re sweetened with stevia and erythritol and both of those work best for me right now. Plus they are dairy free! Additionally, remember what I said a few paragraphs up about walnuts? Feel free to add in any other things you think would be tasty. This could be any type of nut, seed, shredded coconut, etc. There *may* be some super chunky cookie recipes coming your way in the near future. Ahem, ahem. And Finally, My Secret Ingredient! And lastly, I want to make sure I tell you about my secret ingredient for this cookie recipe. Actually, it’s the secret ingredient that I’ve been using for years in my gluten and grain free baking, specifically for cookies and quick breads. Gelatin works as an awesome binder and gives baked goods, like these chocolate chocolate chip cookies, the texture that gluten-containing flours do. It’s not going to be identical, of course, but it is really close for certain recipes (like these cookies). I like the grass-fed gelatin from Perfect Supplements and if you ever want to shop with them, you can save 10% on all of your orders when you use coupon code DELICIOUS10. 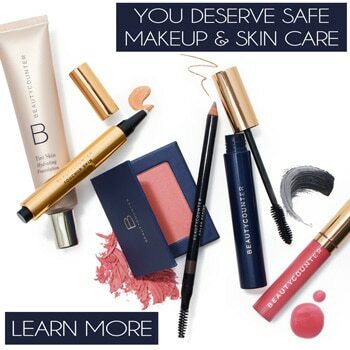 You can check out their site here. Preheat the oven to 335 F.
Line two cookie sheets with parchment paper or a silicone mat like this one and set aside. In a small mixing bowl, combine the butter, granulated sweetener, egg, and vanilla until smooth and creamy. In a separate bowl, combine your salt, baking soda, almond flour, cocoa or cacao powder, arrowroot powder, and gelatin and stir until combined. With the mixer running on low, slowly add in the dry ingredients to your butter mixture and blend until incorporated. Fold in your chocolate chips by hand (so the beaters don't mush the chips up). Using a spoon or a small ice cream scoop (I use my 1" ice cream scoop like this one for perfectly even cookies), scoop out the dough and place on cookie sheets. Bake for 12 minutes at 335 F checking halfway through. You want the edges to be starting to brown, but not burnt. The edges of the cookies will get pretty dark, but they are not burnt as long as you don't cook more than 12ish minutes at 335 F.
Remove from heat and let cool. The cookies will seem really soft when they come out of the oven, but they will set up as they cool. Again, careful not to overcook these -- they can burn really easy. Store in an airtight container at room temp for up to 3 days or in the fridge for 7-10. You Know What Goes Good with Cookies? Ice Cream! If you want to know how to make your own decadent ice cream at home, I’ve got you covered in my best-selling eBook, The Splendid Scoop and Other Frozen Treats: Delicious and Easy Dairy-Free Recipes, Plus Tips and Tricks for Homemade Ice Cream Perfection! 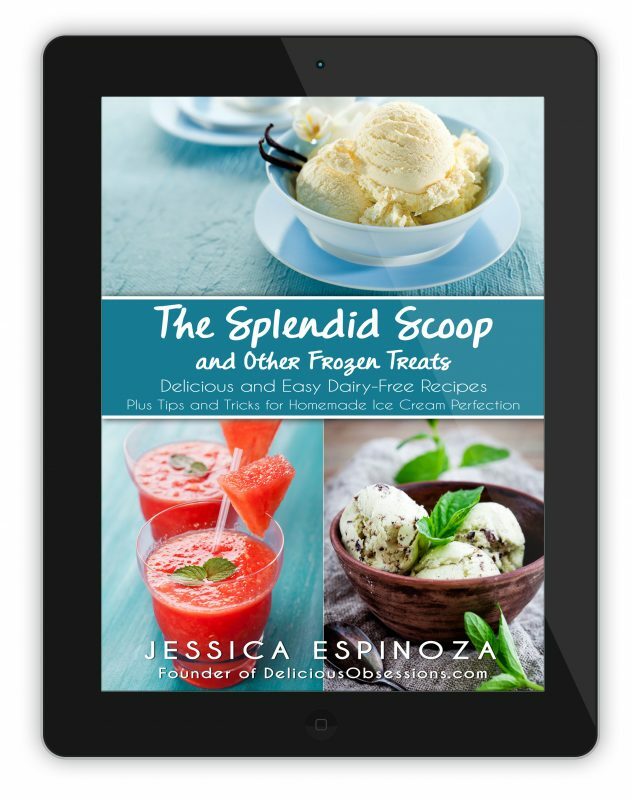 That is why I created The Splendid Scoop and Other Frozen Treats eBook! I, myself, am on a restricted diet for health reasons and when the weather starts warming up over 65 F, I start to get cranky. I am definitely a cool weather gal and one way to keep me sane and satisfied during the height of summer is knowing that I can make something delicious, at home, using healthy ingredients that fit my lifestyle. 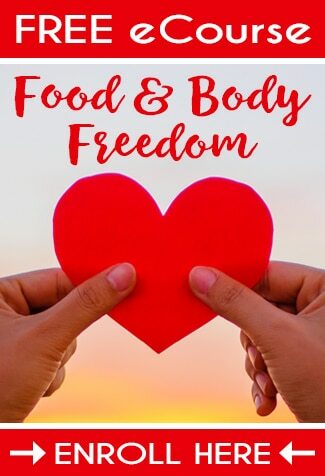 All of the recipes in this book are dairy-, grain-, and gluten-free and easily be modified for the autoimmune protocol as well, making them extra special for those on super restricted diets.